Joseph Moller makes a point of information during the anti-motion side’s argument. For perhaps the first time since the then Prime Minister David Cameron announced the European referendum back in February 2016, the cases for and against Brexit were made in a respectful, well-argued and comprehensively-researched manner during a lively debate. 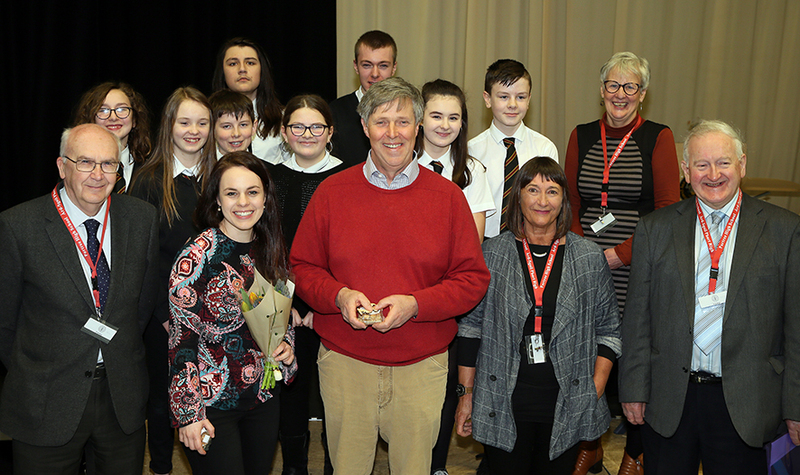 However, rather than taking place in the House of Commons, the arguments were heard in Skye as Portree High School pupils deliberated over the merits of the constitutional quandary during a debate held on Friday 8th March. Two teams comprising four pupils apiece from S1 to S5 argued for and against the motion stating that “This house believes that leaving the EU will be the best thing that’s ever happened to Britain”. The debate was chaired by the former head of programme for BBC Scotland, Maggie Cunningham, and judged by a panel made up of Charlie Baptie (retired modern studies teacher); Alasdair Ross (retired English teacher) and Carole Inglis (a former small business owner). The teams were asked to deliver an opening address to provide an outline of the points they would be arguing. They then went on to highlight some of the key tenets underpinning the debate such as trade agreements, law and immigration, before making their concluding statements. S2 pupil Darachy Hynd focused on money and trade during his argument. 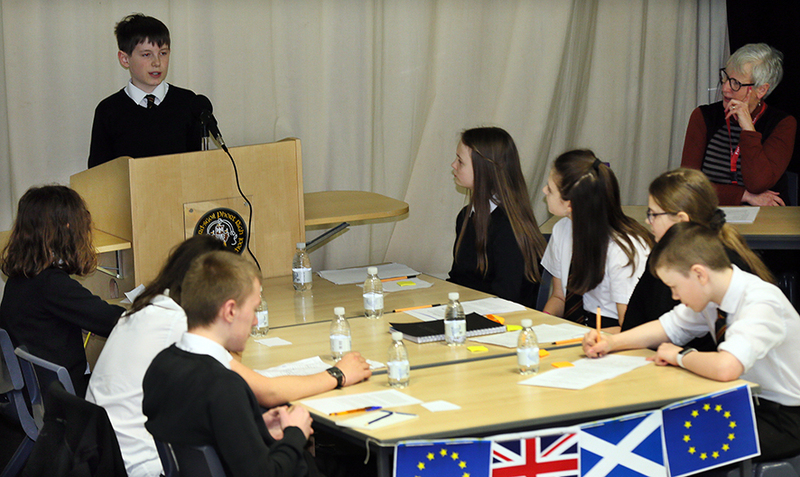 In the opening gambit for the pro-Brexit team, S1 pupil Abbi Morgan argued that leaving the EU “would be a hugely positive thing for the UK” and would allow the country to “take control of borders and create worldwide trade agreements”. She went on to add that it would put the UK in a position to “take back its sovereignty” and make its own decisions on important matters. She stated that as a net contributor to the EU, the UK would be better off by £7.5 billion. In the opening address for the pro-EU team, Lois Langlands (S1) said that “history and past experience as a member of the EU” gave the UK a more secure position for the future and that, in leaving the European Union, the UK would “enter the unknown” and “walk into the future blindfolded”. She said that outside the EU the UK was a “small fish in a big pond” and asked why any country would be interested in providing a free trade agreement with the UK. Speaking on behalf of the team in support of the motion, S2 pupil Darach Hynd focused on the benefits of Brexit with respect to money and trade. Touching on the issues of freedom of movement as part of the remain team, Chiara MacLean (S3) said: “Once the UK leaves the EU, British citizens will become third-party nationals, with no automatic right of admission.” She added that, through the new European travel information and authorisation system, all UK nationals over 12 years of age “would have to pay money to go somewhere they had a free right to go now”. Seth Bennet (S2) took up the reins for the pro-Brexit side, arguing that in terms of laws and immigration the EU could pass any laws they wanted and in by doing so “strip Britain of its sovereignty” – which he described as “one of its driving forces”. He believed that Brexit would offer the UK the chance to “increase its spending in education and housing” which could perhaps lead to a “revival of the nation’s once-thriving industries”. S5 pupil Joseph Moller delivers the pro-Brexit side’s closing statement. Speaking for the pro-EU team, Gracie Buchan said that leaving the European Union would lead to a trade deficit and result in a shortage of daily supplies such as fruit and vegetables. Closing for the Brexit side, S5 pupil Joseph Moller said the EU favoured its own agenda and that in terms of per head of population Maltese citizens had 15 times more representation than UK nationals. 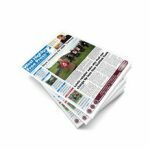 He added that, rather than the 800,000 jobs that were cited as potentially being lost due to Brexit, the level of employment had in fact risen by one per cent since the referendum and unemployment was at its lowest level since the 1970s. 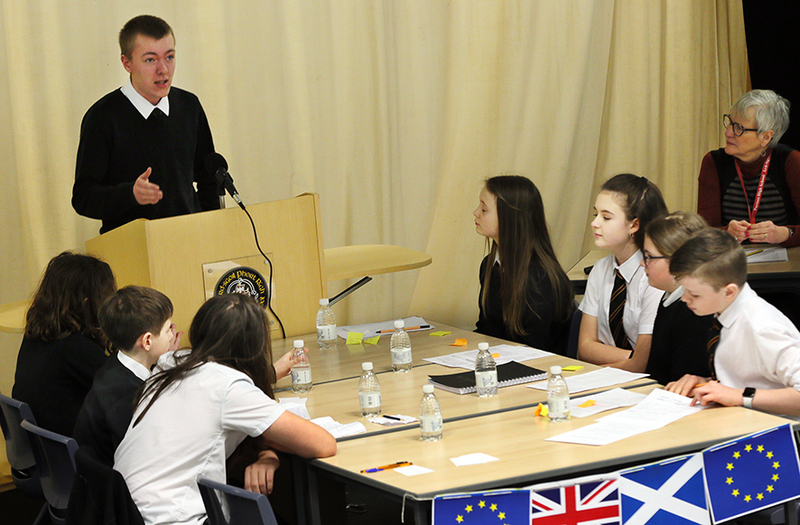 Summing up for remain, S2 pupil Innes MacNeil said: “Latest reports suggest that deals have been struck with just seven out of 69 countries, we have gained a lot more than we have spent on the EU, and multinational companies are threatening to relocate overseas, affecting jobs and investments. 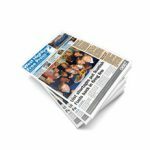 The judges said they were impressed by how confident and informed the pupils were. They also felt the pupils were cohesive as a team and said that they saw some future MSPs and MPs. In the end, the judges awarded the team speaking against Brexit 246 points while the side advocating Brexit received 252 to claim victory. Kate Forbes and Edward Mountain fielded questions on Brexit and politics in general after the debate. 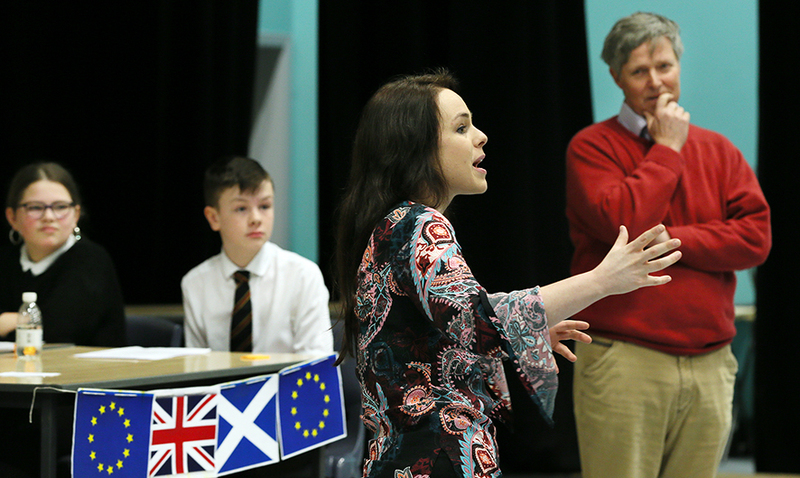 Skye, Lochaber, and Badenoch MSP Kate Forbes and Highland and Islands MSP Edward Mountain both fielded questions on Brexit after the debate and were quick to praise the pupils for their efforts. Kate Forbes and Edward Mountain joined the pupils, chairperson and judges for a group photo.